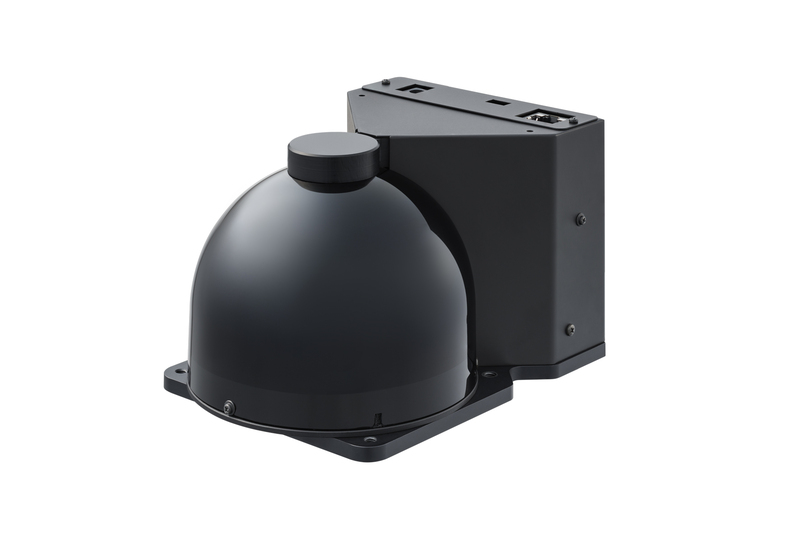 A 3D LiDAR sensor developed by Panasonic has wide viewing angles and ground texture detection for indoor and outdoor autonomous robots. Panasonic has developed 3D LiDAR (Light Detection and Ranging) sensor equipment that measures the distance between the equipment and the object of interest from the round-trip travelling time of the pulse laser that is projected to the object. The sensor accurately measures the direction of and distance to objects with a wide angle of view, which is critical for autonomous operation of mobile robots. Employing Panasonic’s propriety laser-scanning technology, this 3D LiDAR is capable of scanning the laser as wide as up to 60 degrees vertically and 270 degrees horizontally to achieve stable operation of autonomous robots. Sample shipments will start in January 2018. The wide scanning angle of the newly developed 3D LiDAR helps the detection of objects on the ground precisely as well as the roughness of the ground surface. In addition, the range of scanning angles and the resolution can be tailored precisely by adjusting the rotation angle and speed of the mirrors in the system. This feature gives users accuracy and flexibility to choose the most appropriate conditions for the measurement depending on their usage. That will facilitate the wide-spread use of autonomous robots that navigate inside or outside facilities with moving objects around, including people. Autonomous robots need to detect the condition of the ground as well as the objects around them since they will be operated inside and/or outside facilities with many moving objects including people. Conventional 3D LiDARs that are designed for autonomous driving of cars cannot scan the laser in a wide range of vertical angles. Therefore, they cannot precisely detect the conditions of the ground. For this reason, conventional LiDARs need to be combined with other sensors that can detect the ground condition. This results in complicated configuration and the design of the autonomous robots. Suitable applications are autonomous robots such as delivery robots, fork lifts, agricultural machinery, construction machinery and security systems. Existing 3D LiDARs cannot detect objects around them with wide view angles especially for the vertical direction. Panasonic developed the laser-scanning technology using its proprietary design of optical system and motor controlling technology to move the mirror that has been developed for the mass production of optical disk drives. The 3D LiDAR employs a single laser and moving mirror for the detection operation. Laser light travels the same optical path in the original optical system. The mirror moves toward two different directions by two motors. The single-path design and wide angle of the mirror-move enable wide view angles with 60 degrees in vertical and 270 degrees in horizontal directions. The 3D LiDAR does not require any additional sensors for the detection of the objects around including those on the ground, which makes the detection system in autonomous robots very simple. Autonomous robots are required to detect the objects in the specified area. For example, autonomous robots do not need to sense the objects in details when they move on flat surfaces with less objects in the area. The object detection sensor can be scanned at relatively high speed relative to the robot’s speed. On the other hand, in an area with many moving people or objects, it requires high sensing technology with a wide angle of view. Furthermore, the sensor needs to examine the details of the object’s surface that has been detected. Panasonic’s new 3D LiDAR can easily vary the detection settings thanks to its unique laser-scanning technology. Stable and time-effective operations of autonomous robots can be achieved by choosing the most suitable detection settings depending on the conditions of the areas where they will be used. Autonomous robots also require accuracy in detecting objects under strong sunlight. By making the return light follow the same path as the emitted laser, Panasonic has successfully reduced the noise induced by bright sunlight. As a result, the newly developed 3D LiDAR can be operated with high accuracy even under light intensity levels of 100,000 lux, corresponding to strong sunlight in summer-time.